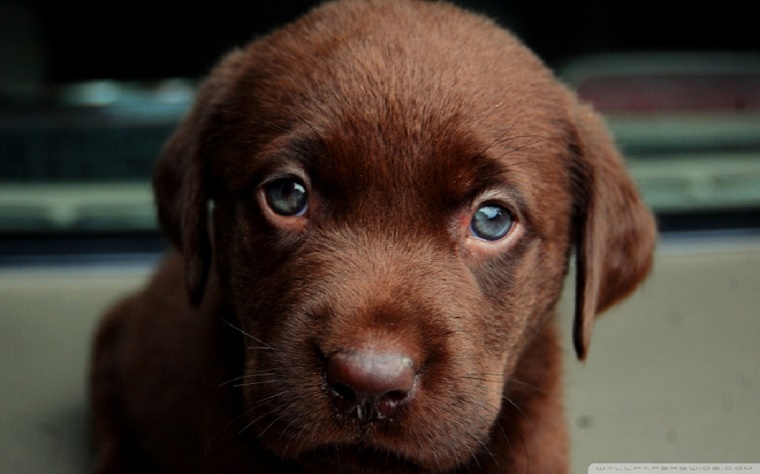 Home / Dog Blog / Why You Can't Resist Your Dog's Puppy Eyes? Here's The Reason Why! Why You Can't Resist Your Dog's Puppy Eyes? Here's The Reason Why! Ask a dog owner about his/her thoughts when he/she is looking through the glittery eyes of their dogs. Most would reciprocate the feelings of Fiona Wood. Those eyes seem to have an eternity of innocence and it is no rocket science why we cannot resist those puppy-dog eyes. However, science has finally given us a scientific explanation. Scientists at Azabu University in Japan say it is all in our hormones! Oxytocin, a happiness hormone, is produced in the hypothalamus of the brain, humans and animals alike. This hormone is triggered in the brain whenever we undertake any physically or emotionally rewarding activity. For humans activities such as hugging, kissing, eye-to-eye contact are emotionally rewarding. Technically speaking, in the animal world, eye contact is strictly viewed as a sign of aggression. But this is somewhat not applicable to dogs. Dogs have been domesticated throughout their evolution. During their evolution, they curbed their animal instincts to suit themselves to an environment dotted with humans. Fast forward to about 12,000 years later and we find a gaze at each other’s eyes today further strengthens that unbreakable bond. Coming back to the involvement of hormones, we now have a scientific study at hand, which proves how puppy-dog eyes become irresistible. These experiments and their revelations were published in the journal Science. In the first of the battery of experiments, owners were asked to spend 30 minutes of their time together. During this whole time, owners and dogs who established frequent and prolonged eye contact with each other and were reported to have higher oxytocin concentration in their urine samples. In the later experiment, researchers sprayed oxytocin into a group of dogs’ noses. The result only reinforced the findings of the first experiment. This time, female dogs were reported to have gazed longer at their owners, which established the proportionate relation between eye-to-eye contact and emotional euphoria. This also goes on to say a lot about how visual instruction is more effective than verbal instructions. To establish the uniqueness of the experiment, the experiments were repeated. This time the subjects were hand-raised wolves who had previously interacted with a known human. It was found that the eye contact could not be maintained even for a few straight seconds. This occurred due to the predominant predatory nature of wolves, for whom gazing or prolonged eye contact is a sign of aggression. Now since we know why we cannot resist puppy-dog eyes, do not feel guilty the next time you give in to those eyes and let him sleep with you on the couch. Eyes are the windows to the soul, someone rightly stated. All your canine baby wants is love… and love is all it has to give you back! Previous Article 14 Things Your Dog Does When He Is Home Alone! Next Article The Importance Of Dogs In Hindu Mythology!